Brand new with tags… This is “Natalie” a beautiful, thick, reversible hairpiece, wear it as shown in the first picture measures approximately 15". or flip it over for a short full style measures approximately 13". Both ways are gorgeous! It comes with both claw clip(not attached) and drawstring attachment. 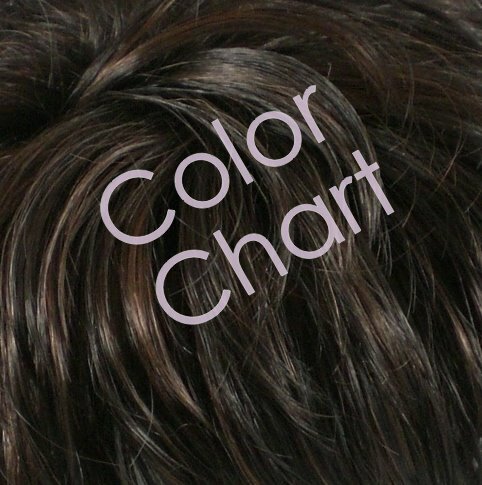 This hairpiece feels and looks like human hair, but it is made of premium synthetic fiber, and very easy to care for, just avoid using curling irons or blow dryers. Shown is color #883 & #2H99J, also available in 17 colors, you can select a color in the drop-down menu above. Please keep in mind that colors display slightly differently on each computer monitor. If you have any question, please don’t hesitate to ask, I’ll reply as soon as possible.